Exploring the coastline from the sea offers an amazing opportunity to explore the wildlife, often close to its natural habitat, that is not possible from the land. We have an enthusiasm for the animals we share this habitat with, and enjoy sharing this with our customers through our explorations. Tony Hoile has a wealth of knowledge of the local area, and is the only wildlife safe (WISE) accredited skipper operating from Dartmouth. Whilst we cannot guarantee sightings on every trip here are some of the characters and scenery you are likely to see. This spectacular exploration takes you down towards the sea past Bayards Cove and the remains of the Bight Boatyard where wooden ships were made to sail across the Atlantic to fish in the Newfoundland Cod Fishery. From there we pass Warfleet Creek, One Gun Point and then stop close under the walls of Dartmouth Castle for a good seaward view. Depending on the wind direction we usually cross the estuary here to view Kingswear Castle, and move closely down under the spectacular cliffs and woods past Mill Bay and Robin Hood Cove to Froward Point. From there we cross the river mouth to Blackstone Point and explore the coast along to Sugary Cove viewing the Shag and Cormorant colonies back to Dartmouth Castle. The return part crosses to the Kingswear side of the estuary past Gomerock Castle and back into harbour along the boat moorings. 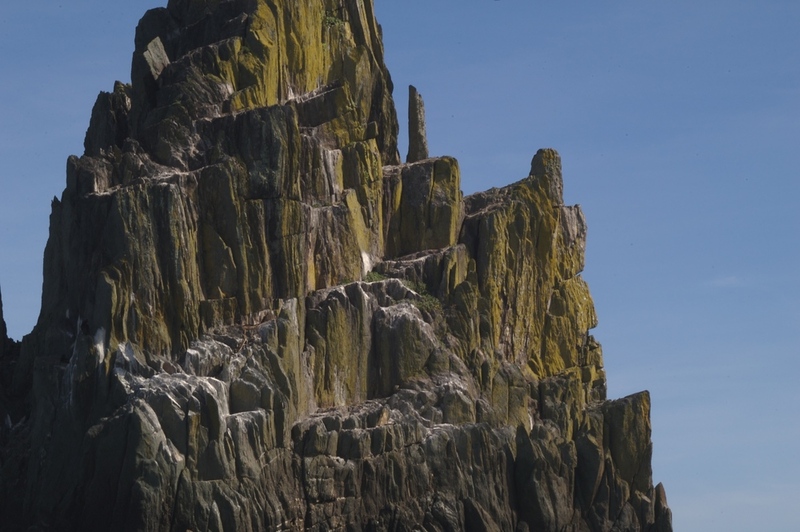 The first part is similar to exploring the mouth of the River Dart but from Froward Point we cut across to the spectacular rocks of the Mewstone and Catstone, home to a small and friendly colony of seals and nesting colonies of cormorants, shags and herring gulls. If conditions permit Tony will take the boat into the Mermaids Lagoon for a closer look at the seals and seabirds (and mermaids for those with a good imagination). The exploration continues to the steep northern side of the Mewstone before going across to Pudcombe Cove and "The Eye of the Dragon". Pudcombe Cove is directly below the National Trust property of Coleton Fishacre and often sheltered under the high cliffs - ideal to stop for a picnic on longer trips. A pair of Peregrine Falcons currently nest here and there is a good chance of seeing one or both of the pair, and later in June, the chicks flying. 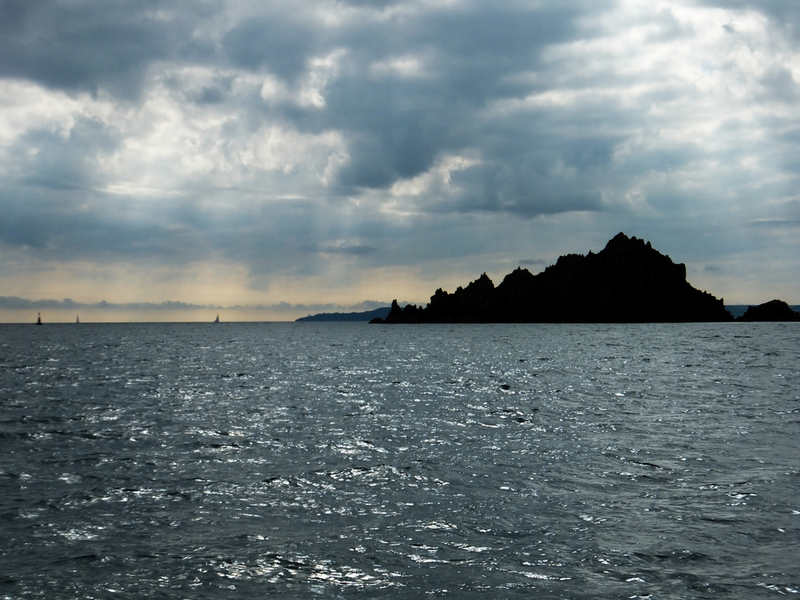 The first part is similar to exploring the mouth of the River Dart but from Dartmouth Castle we cut under the cliffs to Combe Point and its teeth like rocks and down to Redlap Cove and Leonards Cove with numerous smuggler's caves and cliffs - ideal to stop for a picnic on longer trips. We return under the cliffs to go inside the Dancing Beggars and Old Combe Rock. Along this stretch of coastline there are numerous colonies of seabirds, another pair of Peregrine Falcons and seals to be seen. This exploration takes in the mouth of the River Dart, Pudcombe Cove, the Mewstone and then continues up the coast past Scabbacombe, Mansands, Sharkham Point and the extensive seabird colony under the sheer cliffs of Berry Head. An extended part of this trip is to lane in the fishing port of Brixham to stretch your legs and explore for an hour or so. A scoot down into Start Bay past Torcross, Beesands to Hallsands and the remnants of the village of Hallsands that was destroyed in a storm in 1917. The exploration continues through Start Point Race under Start Point Lighthouse - the only way to really see it. The return passage covers the Skerrie Bank where numerous seabirds feed on the fish that are pushed near the surface of the shallow waters. Gannets, Guillemots, Razorbills and Terns fish in the shallow waters. This area is also the best place to spot dolphins and basking sharks in the tide above the banks. A superb day out (weather permitting) with either a BYO picnic or picnic lunch provided by the French Bread Shop of Dartmouth. This trip takes in a similar route to the Redlap exploration but from there continues on down the coast past Blackpool Sands, Slapton and Beesands to view the ruins of Hallsands Fishing Village which was virtually destroyed by a tremendous gales on the night of 26th January 1917. On a good day Tony will run you ashore in his tender to beach under the village and explore by foot - you can picnic here on the secluded beach or Tony can provide lunch. On returning to Falcon we cruise down to Start Point Lighthouse and take in the view further along the coast to Prawle Point before returning to Dartmouth by route of the Skerries Bank where seabirds such as Gannets, Guillemots, Razorbills and Terns fish in the shallow waters. This area is also the best place to spot dolphins and basking sharks in the tide above the banks. This exploration takes in many parts of the above explorations to the south west of the River Dart, rounding Start Point and cruising along the coast past Lannacombe, Prawle Point before turning into Salcombe Habour under the dramatic Bolt Head. Once in the harbour you can either step ashore to explore Salcombe or Falcon can take you on to explore Salcombe Harbour. For this trip you may bring your own picnic, ask Tony to arrange one for you, or lunch ashore in Salcombe before returning to Dartmouth.